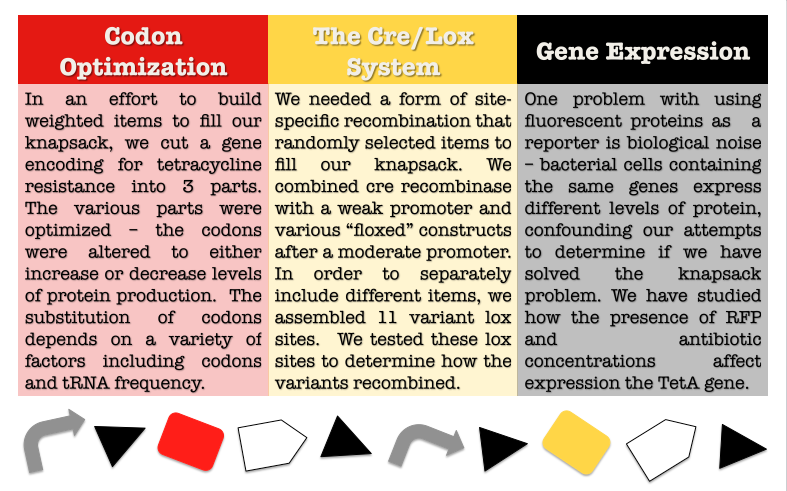 -Band pass filter (TetA) -Weights (Codon Optimization) -Packing (Lox switches) -Did we fill the knapsack (death, fluorescence) Even cells with identical genes can produce different levels of protein. This variation is called noise. While noise is generally treated as a necessary evil in synthetic biology, we chose to use the stochastic nature of gene expression to our advantage.